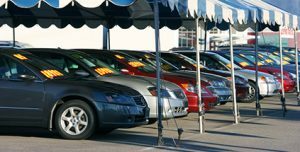 Understanding how car loans work and learning how to estimate car payments can help you make smarter financial decisions, as well as help you to choose better financial products. Many people look for the lowest monthly car payment and assume this is the best deal. If your main concern is “How much should I pay a month for car?” you may be missing the bigger financial picture. How much you pay for your car loan is based on three things. First, there is the annual percentage rate or the interest rate you pay for the privilege of borrowing money in the first place. Then, there is the loan amount. This is the amount of money you are actually borrowing from a lender. Third, there is the loan term, which is usually between 36 and 72 months on a car loan. How Much Are You Really Paying for a Car Loan? Let’s say you calculate your monthly car payment and decide to take out a longer 72-month term to make the monthly payments affordable. Unfortunately, this can mean you have a higher interest rate, depending on your lender, and that you end up paying more overall for the car loan. On the other hand, putting down a larger down payment or taking out a smaller loan and paying it off quicker may help secure a better interest rate and less time spent in debt. When you have an affordable monthly payment, it may be easy to ignore how much a loan is costing you over time. To determine how much you’re really paying for your car, you want to calculate the total cost of the loan as well as make sure you are paying an affordable monthly rate. You’ll also want to compare interest rates and total financing costs on all car loans you are considering. Comparison-shopping based on total loan cost as well as monthly payments helps to determine which is the better deal more effectively. You won’t end up overpaying because you are attracted by the seemingly affordable price. There’s not necessarily a right or wrong answer when it comes to car financing. You may decide that having a more affordable car payment and a more long-term loan makes financial sense for you. Or, you may decide you need the extra money you can save on your car loan so you can apply extra cash to a high-interest debt. Either way, knowing how much you are really paying is important. Money Help Center can help. Our unbiased and unaffiliated calculators can help you calculate your car payments, figure out how much car you can afford and determine how much money is going toward your car. A car payment calculator can help answer questions like: “How much will I pay per month for my car?” and “How much will this car loan cost me over its term?” Looking at both answers can help you figure the overall costs of buying and financing and can even help you compare different financing options. Looking at both answers can help you figure the overall costs of buying and financing. It helps to compare different financing options because you can determine whether it is better to make smaller payments for a longer period of time. How do you plan to finance your car?